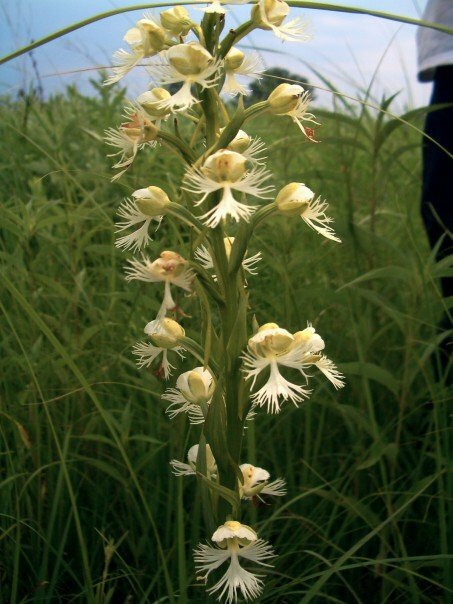 The eastern prairie white fringed orchid, a Wisconsin Endangered and Federal Threatened plant, is a spectacularly beautiful flower that calls Faville Grove Sanctuary home. And it's now in bloom! Get up close and personal, and learn more about this lovely species at the orchid count on July 9. We're looking for volunteers to help count the number of flowering orchids in our prairies. Due to the sensitivity of the species, the participation limit is 10 individuals. RSVP to the Madison Audubon office (608-255-2473) to claim your spot. You'll receive further details when you have registered.